A heartbroken family is demanding to know why their loved one mysteriously died in police custody, and why several of his organs have been seized. 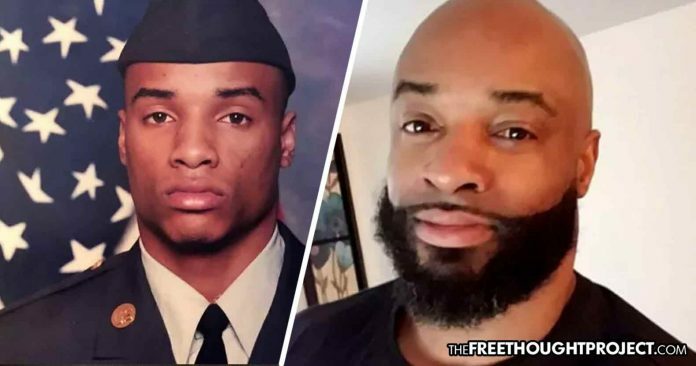 York County, PA – Everett Palmer Jr. was a United States Army Veteran and a father of two before he died mysteriously in police custody earlier this year. Now, the local coroner is claiming that the cause of death is still undetermined, and Palmer’s family is demanding to know what happened and why several of his organs were taken without notice. The family was not notified that the 41-year-old dad was in critical condition, and it was not until they were being informed of his death that they found out he had been spent the last two days of his life in jail, according to a report from the York Dispatch. Palmer was initially charged with driving under the influence, careless driving and failing to stay in his own lane after he was responsible for a single car crash in October 2016. Even though he was the only one who was harmed, he was left with a long list of fines and fees, and when he failed to appear in court, a warrant was issued for his arrest. Palmer turned himself into the police on April 7, and just two days later, he was pronounced dead. The details of what happened over the course of those two days are still disturbingly scarce. Staff at the York County Prison claim that they found Palmer “hitting his heard against his cell door” at 4:20 a.m. on April 9. The prison guards took Palmer to the in-house medical clinic where he was physically restrained for the next hour, and he apparently became unresponsive. He was then moved to the York Hospital where he was pronounced dead at 5:46 a.m. However, Gay also said that the cause of death in police custody is still undetermined—therefore Palmer did not die because he was reportedly hitting his head on the door of his cell, or because he did anything to harm himself. The coroner claimed Palmer’s death was a result of “complications following an excited state, associated with methamphetamine toxicity, during physical restraint.” Gay said a “high level of methamphetamine” was detected in Palmer’s system. The claim is notable because Palmer voluntarily turned himself in two days before and he was fine. So if he did have a high level of meth in his system, how did he gain access to it, and when? Surveillance footage of the final hours before Palmer’s death has yet to be released, and Palmer’s family claims that they have yet to be informed of the manner in which Palmer was “physically restrained” before his death. A number of questions remain surrounding the tragic death of Everett Palmer Jr. and the fact that even as months have passed, law enforcement in York County have failed to release pertinent information, raises a new list of inquiries as to what caused Palmer’s death, who was involved, and why the county has gone out of its way to protect the employees who could be responsible. Marlon Kirton, an attorney for the family, told the York Dispatch that Palmer’s family is seeking justice and demands to know what caused his death and how staff members at the York County Prison played a role.